We are well underway in our progress in the current phase, which is the separation of worlds. If I remember correctly, it was around 6-8 years ago that Lady Nada [a rainbow master; incarnated as Mary Magdalene; soulmate of Yeshua/Esu Immanuel] and I were chatting about the very thing now occurring. You can go back to my messages below and read the one I think called ‘The Separation of Worlds’ by Nada. This was her perspective then on what’s occurring now. For those beyond the veil – everything’s happening now, though, in their timeless existence. Anyway, we are now all gravitating towards our respective consciousness ‘islands’. Basically, what this means in practical terms is everyone on planet is choosing one or the other in accordance with our frequency or vibration. Aka the consciousness state we have currently evolved to as a result of our life choices. For those asleep and in denial, there is one island. 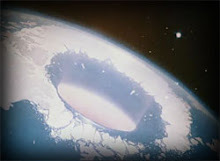 For that segment of the population awakened to compassion and empathy towards other but perhaps not willing/able to connect the tougher planetary truths vis-à-vis the matrix controllers, there is another. For the staunch anti-life service-to-self global agents and their parasitic bosses, there is another island. In addition, there are other islands of consciousness in between. This is the ‘place’ each of us have reached on this segment of the evolutionary journey. What I’m finding is we can and do swim into the waters of other islanders and they into ours. For me, what I’ve found is at best, this is fine- usually in small doses. At worst, it’s like swimming against a tide. That’s been some of my recent set of experiences, anyway. I guess it’s because we’re all occupying different levels of consciousness that aren’t necessarily resonant or in synch and can therefore be rubbed up…the wrong way! I also sense for many people their Higher Self has left them or is in the far background and that that’s maybe been happening for this past year or more. But I stand to be corrected. What I do know and can often feel is the essence of some folks has been hijacked, which has become the main driving force in charge of the being. As opposed to the other way around before. In many instances, this is what it feels like to me. Actually, it’s been pretty psychotic out there some of the time. Like open season in a full blown hijack by the Satanic-negative alien agenda forces. This has produced a lot more compulsive-obessives [whatever the obsession may be], more addicts, more folks in chaos [increased public 'explosions'] and more people generally living on the edge of nervous breakdowns with way more psychiatric drug use than I ever remember previously. The primary objective being to pull in as many souls as they can into the psychopathic-fragemented mind camp for ease of collecting soul energies. All extremely easy to do when the mass population are in cognitive dissonance and have split off into disassociative behaviours from long past unhealed traumas/childhood experiences. That plus the exiting of the Higher Self = perfect conditions for the entry of the parasitic machinery [weaponry,mind-control,AI] and the army of invisible demonics who attach to human consciousness. For years I’ve observed psychological and especially psychiatric labels to be little more than another diversionary tactic [like all the rest] from the ‘mental health’ industry to discourage folk from owning themselves and getting to the origins of their emotional symptoms. Which, in the main, and from my experience counselling and in my own life, are often little more than energetic attachments. Though this can cover a very wide range of types of attachments. Either way, the symptoms remain unless the psycho-spiritual origins are identified and the related trauma/condition owned and cleared. But I also realise that's probably too late now for many. In the meanwhile and in quick succession recently I’ve found myself on the receiving end of enraged and neurotic folk, a sociopath and more recently, attacks by a recently-turned narcissist I worked for. The latter was once a sort of friend, making the dealings trickier. All these contacts have been blessings in disguise, teaching me how to work with these energies in terms of boundary-setting. I’m sure there’s much more of this to come, so as much practise now as possible is something I’m grateful for. I’ve also understood that where it’s not possible to lay boundaries, remember self-preservation and walk away. Because there’s nothing or no one to ‘save’. None of this is personal and I therefore cannot respond personally to any of it anymore and so am learning to go beyond these directed attacks and displays. And despite their sometimes atrocious behaviour everyone does deserve kindness and compassion to be shown them. This is what God wants us to do, after all, as the example-setters. This is all something of a work in progress on my side. Undoubtedly helped along by my EM/IF’s[invisible friends] and He who calls the shots [if we let Him]. And in all honesty, allowing our GodEM [God/Higher Self] to BE the response IS the only EFFECTIVE answer for what we’ll be/are already confronting. So for any of your reading here: may I ask you to remember to pause before responding to such situations in your life. Just long enough to call in your God/HS to take over your thoughts, feelings and thus your words, before you respond to the other. Part of what we are expected to do now is uplifting, loving and caring for all in any and every way we know how. Including these ones who have split off from themselves. But obviously without sacrificing ourselves in the process. Being here right now in these chaotic times with more to come is actually a great privilege and learning experience. Albeit a messy one. In gratitude to all the lost minds and hearts for helping remind me/us of our I AM’s innate wholeness and love. You know that saying ‘Life happens while you're making other plans’. This really does succinctly explain the fact that while we're purportedly living our lives, the real choices we make remain hidden from most of us. This, while we're mostly skirting around on the surface of life in an ongoing series of thinking, acting, reacting and doing. And that, we may think, is the current extent of our living and learning. Though it happens in as many ways as there are people - through situations, other people and ourselves. That's the one level. 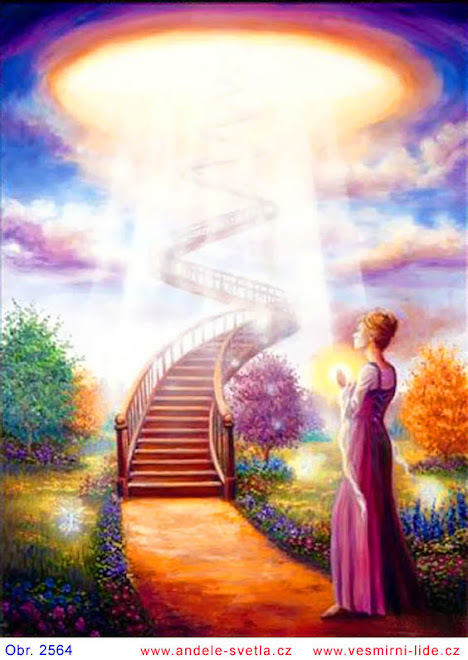 But from the perspective of our Higher/God Selves we are on earth as these fragments of God (personality/God/ego all mish-mashed together) to learn, grow and expand to our respective next rung on our personal stairway to heaven/God consciousness. This is part of our eternal journey. Which could be vastly different from how we, our little selves, perceive the challenges of our life lessons and its answers to be. The sense of this grows daily for me. I'm becoming more aware of the unreality; the top or conscious layer of active life. And how insignificant it is, though necessary. That the real life is like the beautiful scent of a fragrant flower that you catch when you turn your head in a particular direction and angle. As if you can almost catch it and pin it down, but not quite. But if you could do this all the time, you'd be in a state of living the 'real life', as I call it. A lot like a dream you wake up from who’s few fragments might haunt you during the day, but try as you might you can’t remember the entire dream for greater clarity and context. Trying. To. Remember. MySelf. Four words that pack a powerful punch for me. Or have in the past. Now I’m perceiving such efforting or striving as exceedingly limiting. As opposed to re-member-ing to just be! To merely relax, unfold, immerse into…disappear into…that which I (and you) already are. I say ‘disappear’ as that’s always been the greater dream for me. Actually, disappearing entirely as a personality-ego into the awesome God being that I AM is the only real dream I have that remains for me. There is nothing else I have to do or be here; nothing or very little of interest to me. Mainly because that’s His will for my life. That I was once filled with all manner of dreams and ambitions seems so far away from my consciousness now. Even though every single dream I’ve ever had possessed one thing in common, no matter how diverse the dreams were – to serve and uplift my fellow sisters and brothers on this planet. I just had no idea this seemingly-simple desire and intent would have so much against its manifestation – from inside me! How ironic! But how grateful I AM to start anew each day; to have new, healthier perspectives on this art of living. Actually, what I've found more recently is the successful moments come in the having of less attachments to people/situations/the past. This, I believe, is the real ‘access card’ to greater freedom within. And that, for me, is and always has been the goal. Because this can only mean freedom for everyone else I (we) touch daily. Is that or this the way to go? My inspiration, Harry Baker. What a beautiful child of God spreading his inspirational poetic gift through tongue-in-cheek humour, insight and universal Truths. These are my 3 favourites - all pretty short. Enjoy and bless every heart!